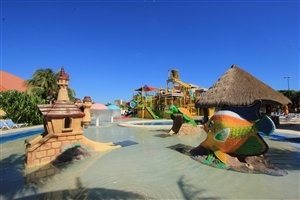 Nestled in a privileged corner of the Caribbean, the All Ritmo Cancun Resort & Waterpark is a joyous paradise for travellers of all ages looking for an unforgettable holiday experience. 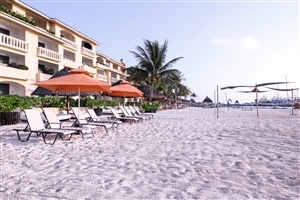 Elegantly furnished with traditional Mexican overtones and intricacies combined with modern twists, the resort brings the best of old and new world comfort together for the absolute perfect setting. 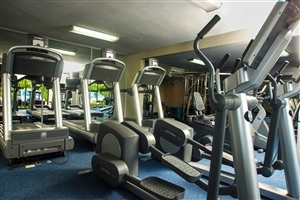 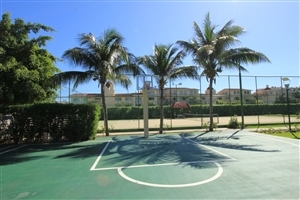 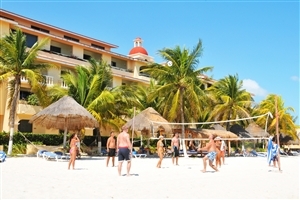 The resort houses a number of facilities for travellers to pass the time with, not to mention a nearby beach to discover and its very own waterpark, as well as several dining venues all aimed at satisfying each and every palate. 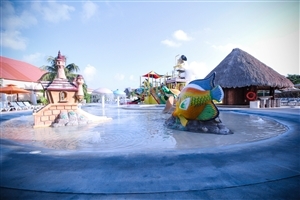 Putting a strong emphasis on fun and entertainment, the resort isn’t just for kids but for adults too, with evenings of entertainment balancing out the daytime waterpark activities so no matter what the occasion, fun is absolutely guaranteed. 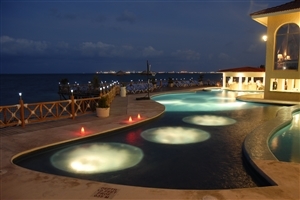 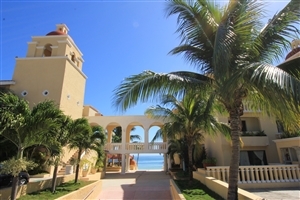 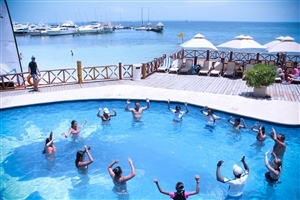 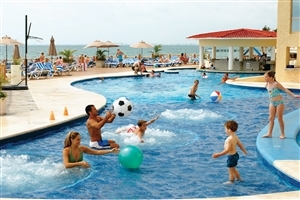 The spectacular All Ritmo Cancun Resort & Waterpark is a fun-filled destination that looks out over the gorgeous beach setting in a privileged corner of the Caribbean, an area embraced by tropic wonders and views of azure waters ebbing out towards the horizon. 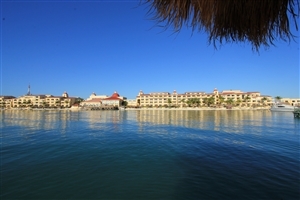 Beautifully decorated with a modern outlook infused with traditional Mexican details and intricacies, the resort provides the best possible atmosphere for all guests, presenting a world of luxury and style. 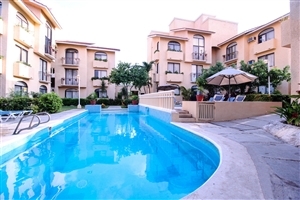 The resort houses a myriad of amenities and exquisite dining venues to suit all tastes, not to mention its very own waterpark for all the family to enjoy, while come nightfall, the evening entertainment is just the thing for unwinding after a day of fun-filled activities. 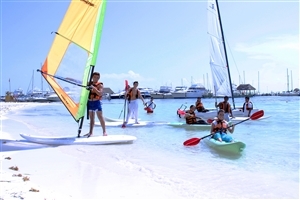 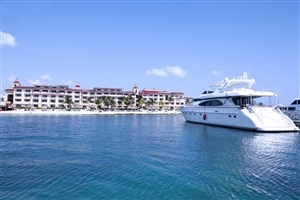 So whether it’s a family adventure, romantic couples getaway or simply a relaxing escape for singles or groups, all the ingredients for an unforgettable time are at hand in this amazing Caribbean haven. 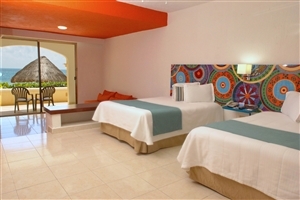 The Standard Room offers guests a contemporary accommodation adorned in elegant textures and stylish Mexican decor to go with the quality amenities throughout. 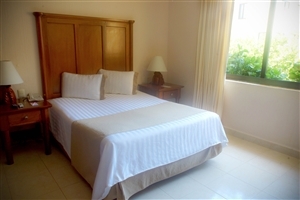 The room comes with garden or pool views which can be enjoyed from the balcony or terrace. 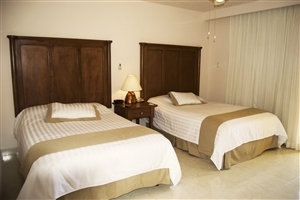 The Junior Suite offers guests a chic accommodation that provides plenty of space and privacy in a setting of modern Mexican comfort and lavish furnishings. 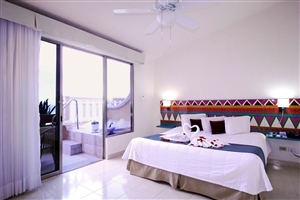 The sophisticated suite comes with an additional living room and a private balcony that showcases views of the ocean. 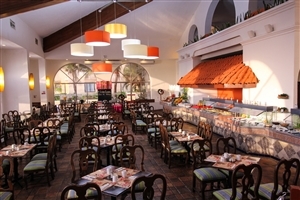 El Palmar – Enjoy breakfast, lunch and dinner at the main restaurant buffet, themed on different regions such as Italy, Mexico and more. 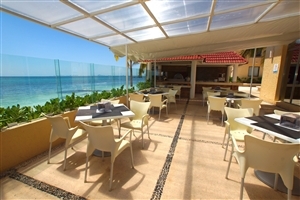 Pancho Villa – The exquisite flavours of traditional Mexican cuisine are yours to discover with a modern, innovative twist. 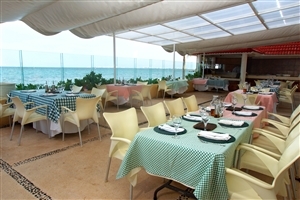 La Gondola – Marvel at the wonderful views looking out at Isla Mujeres while enjoying a tantalising Italian selection of dishes. 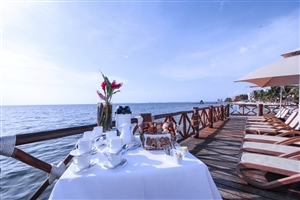 Ostras & Oysters – Indulge the senses on a romantic evening dining on the freshest seafood delicacies caught from the sea before you. 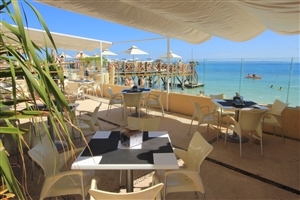 Oasis Snack Bar – Treat yourself to a tasty snack or light bite with a variety of quick and easy food choices mere steps from the sea. 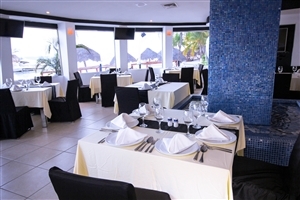 Cenas En El Teatro – Internationally inspired themed menus showcase a variety of gourmet surprises in the theatre dining venue. 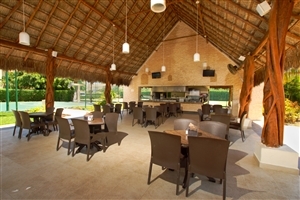 Diego’s – The outdoor bar is the perfect setting for a refreshing pre-dinner cocktail. 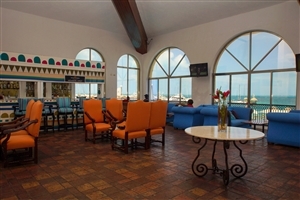 Tequila’s – Relax and enjoy the serene setting in the centre of the hotel at the Mexican cantina with your favourite drink. 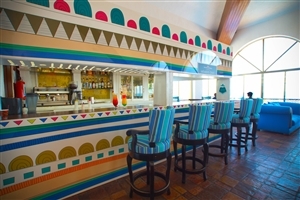 Oasis Wet Bar – Take a time out from the fun and frolics with a refreshing beverage in the heart of the waterpark.